But for some, what the Pope just did seems very odd. But then he did the same thing when he promoted homosexuality. Since 98% of the Vatican prelates are homosexual, not many people were shocked when he did that since many Catholics know about the Vatican's homosexual agenda. But to address the reason he publicly honored a pro-abortion activist; do you recall my videos wherein I documented the fact that all Roman Catholic prelates are card carrying devil worshipers? Not only have they been caught red-handed inside Vatican walls holding a worship service for Satan, and not only was the Vatican building itself designed as an upside-down cross, they actually built an audience hall that resembles the head of a serpent outside and where the Pope and his political comrades stand before the people inside the building, it is designed to look like they are speaking from inside the mouth of the serpent between its two fangs on the platform. But why did I mention all that and how does being a Satanist connect with being for abortion? Do you recall the video I did back in August of 2015 wherein I share the written testimony of an ex-Satanist who admitted he performed Satanic rituals in abortions clinics because according to the church of Satan killing a child is the best offering one can give to Satan? 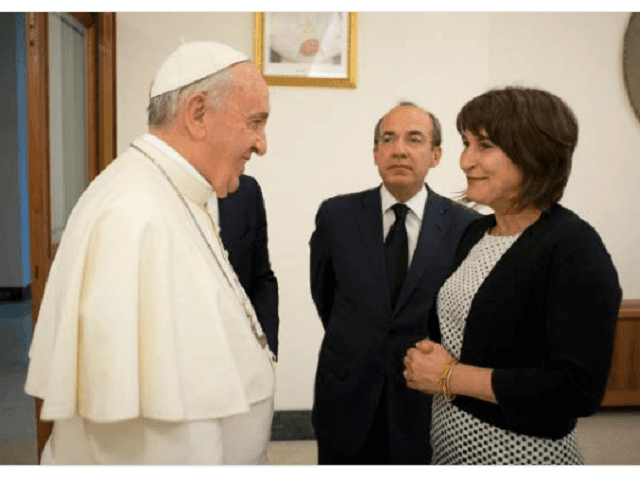 This is why this Pope is honoring a pro-abortion activist. His dying god demands it and the Pope knows he will be granted even more power in the coming days for his loyal obedience to Satan in openly sanctioning the killing of innocent children as a blood sacrifice unto his dying god. In short, Satan is about to appear as Jesus Christ on earth and he needs to make sure those he controls are actually that loyal to him.